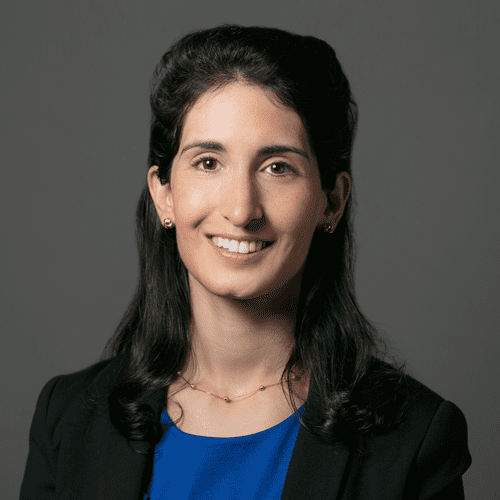 Phone: 212-437-3911Email: ahavusha@pcdc.org Avital Havusha leads and directs PCDC’s Performance Improvement Practice, overseeing strategy, project execution and quality, operations, and business development for PCDC’s three main capacity building and technical assistance program areas. Before joining PCDC in 2017, Avital was the Deputy Director of Programs at Public Health Solutions, overseeing large-scale health and human service programs in the areas of food and nutrition, reproductive health care, maternal child health, and health care access and quality. 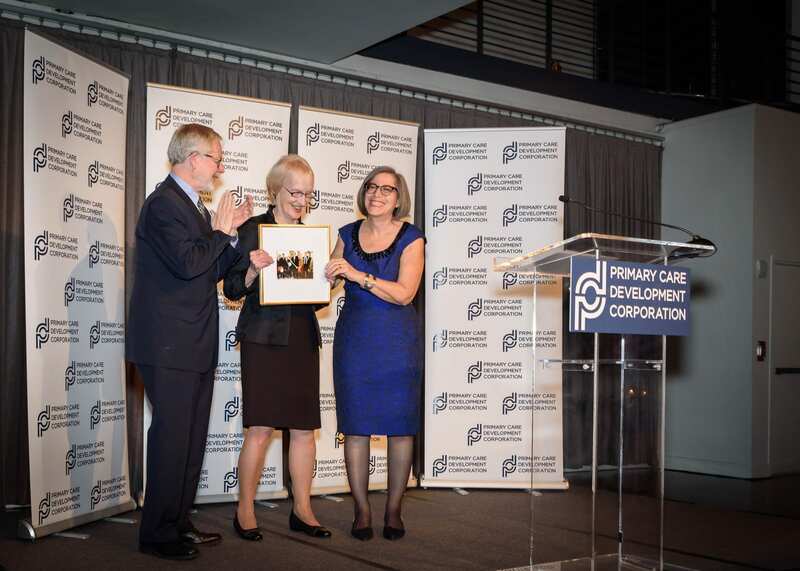 She set strategic and operational goals, monitored program performance, built partnerships, and developed and implemented new programs in response to emerging health care issues. Prior to PHS, she was the Policy Director for the Bureau of Health Planning in the Division of Health Care Access and Improvement at the NYC Department of Health and Mental Hygiene (DOHMH), where she played a lead role in coordinating the DOHMH’s response to federal and state health care reform implementation and was a member of the leadership team that developed the Take Care New York policy agenda. 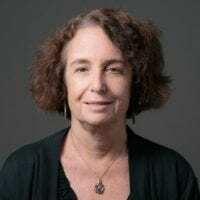 Avital has also held roles at Yale University’s School of Public Health, managing a National Institute of Health research study, and at an anti-hunger organization in Massachusetts, managing a network of grant-funded emergency food programs. She received her Master in Public Health degree with a concentration in health policy and administration from Yale University and her bachelor’s degree from Washington University in St. Louis. Phone: 212-437-3955Email: acarson@pcdc.org Adam Carson is the Deputy Managing Director of PCDC’s Performance Improvement team. Adam brings to the organization a broad range of experience in health care and community development financial institutions (CDFIs). 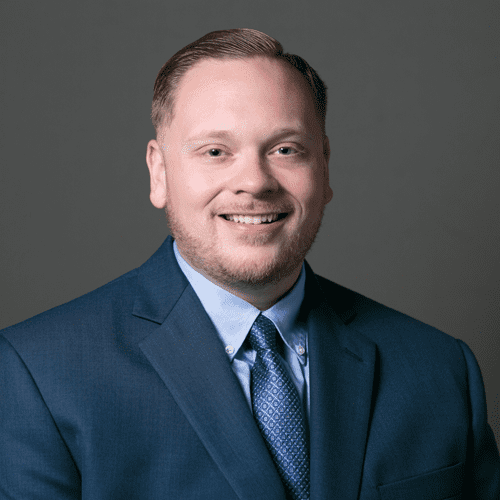 Before joining PCDC, Adam was Director of Strategic Initiatives at the Lake County Health Department in greater Chicago where he led the development of strategic planning, organizational development, marketing, grants, policy, and business development. Prior to that Adam worked in management consulting for two Chicago-based firms: Kaufman Hall and Associates and Huron Consulting Group. Both firms focused on helping hospitals across the country address the barriers to reaching their strategic and operational goals, specifically as related to labor and workforce. Adam also worked at Hope Enterprise Corporation, a CDFI in Jackson, Mississippi, managing several projects for the executive team. While at the University of Mississippi Medical Center he managed multi-million dollar cost savings initiatives, led the market analysis of expansion of services in the primary and secondary markets, and launched an effort to introduce lean principles across the organization. Phone: 212-437-3935Email: djingram@pcdc.org Deborah joined PCDC in 2010 and brings a strong background in quality improvement to PCDC's Performance Improvement team. As Senior Director, Deborah leads our team of Patient-Centered Medical Home (PCMH) facilitators. Her team has led more than 200 practices to achieve NCQA PCMH recognition. Deborah also provides consulting on PCMH sustainability planning and implementation, ambulatory care practice operations, and efficiency improvements for primary care practices, FQHCs, and hospital systems. Deborah provides training on Meaningful Use and Physician Quality Reporting System attestation in addition to coding for PCMH quality. Prior to joining PCDC, Deborah worked for IPRO, the New York State Quality Improvement Organization, as a Senior Clinical Practice Advisor. Deborah is a certified as NCQA PCMH Content Expert and has more than six years of experience in facilitating electronic health records implementation. 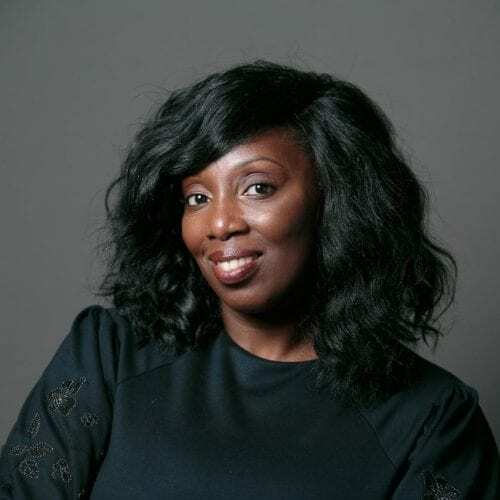 Deborah received a BA in sociology from New York University, her Advanced Certificate in Public Health at SUNY Downstate, and her MPH in epidemiology. Phone: 212-437-3956Email: aphilip@pcdc.org Andrew C. Philip, PhD is a clinical health psychologist and Senior Director of Clinical & Population Health at the Primary Care Development Corporation. At PCDC, Dr. Philip leads a robust team of subject matter experts and implementation specialists in the fields of clinical and population-based prevention and treatment. 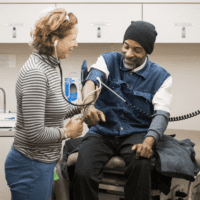 The Population Health team works with state and local health authorities, Federally Qualified Health Centers, HIV and AIDS service organizations, community clinics, and integrated hospital systems to improve capacity and service delivery. Dr. Philip is the immediate past Deputy Director of the SAMHSA-HRSA Center for Integrated Health Solutions at the National Council for Behavioral Health. 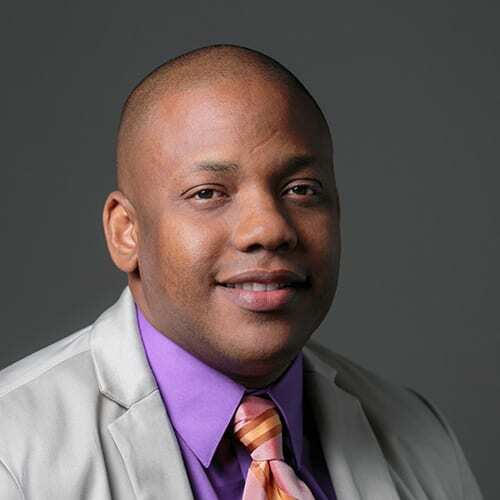 He has a clinical background as a psychologist in primary care and has assisted with large-scale training and integration efforts in the largest health care systems in the country. His experience includes integrating behavioral change principles within numerous medical settings and emphasizing improved care for diverse groups, such as LGBTQ and veteran populations. Dr. Philip assists in driving initiatives aimed at improving patient care and promoting health innovation, as well as speaking nationally and conducting integrated care research. Phone: 212-437-3926Email: danel@pcdc.org Dane joined PCDC in April 2003 and oversees the complete portfolio of operational, financial, and administrative activities for the Performance Improvement Practice. He oversees the operations and administration of all projects within the Performance Improvement Department, including scope negotiations, staffing allocations, project management, invoicing, reporting, and communications. Additionally, Dane is an active participant in strategic planning activities, including financial planning, marketing strategy, product and service development, and business operations growth and development. Prior to joining PCDC, Dane was Program Manager for the CUNY Aviation Institute where he played an integral role in developing the first Aviation studies program at the University. Dane received his MBA from Baruch College, CUNY and his MA in organizational communication and development from Ball State University. Phone: 212-437-3923Email: rmstineman@pcdc.org Stine joined PCDC in 2017, bringing with him more than 25 years of experience in consulting and nonprofit management. As a consultant to HRSA and CDC, he conducted administrative audits of underperforming clinical programs and mentored them toward improvement — and continues as a proposal reviewer for both agencies. His consulting work for nonprofit organizations includes filling chief executive roles during critical transitions, program creation and improvement, grants and contracts acquisition, board development and governance, and strategic planning. Stine was Director of Planning for HIV care and prevention for two major US metropolitan areas — Kansas City and then Philadelphia — heading up rebuilding efforts for both. 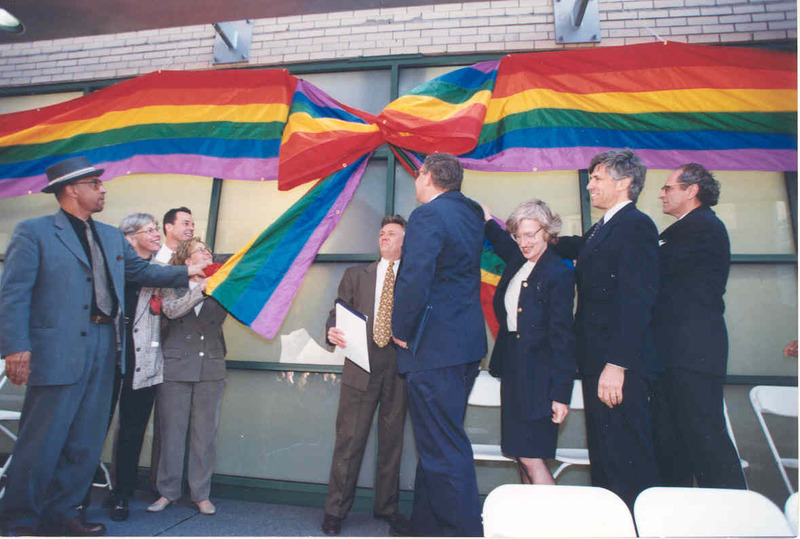 In the 1990s, he led a disability research and implementation organization affiliated with the University of Kansas and served on numerous boards and commissions, including the President’s Committee for Employment of People with Disabilities. He has presented more than 100 workshops, seminars, and training sessions at state, national, and international conferences for professionals in disabilities and special education, public health and HIV/AIDS, cultural humility, strategic planning, and grant writing/making. Stine holds a bachelor’s degree in Political Science and Communications/Rhetorical Criticism from the University of Kansas. Phone: 212-437-3913Email: mmorse@pcdc.org Maia is an expert coach and facilitator for practices aiming to achieve Patient-Centered Medical Home (PCMH) transformation and access improvement. Maia leads PCDC’s school-based health center program including transformation and recognition support for centers seeking School-Based Medical Home (SMBH) recognition. During her years at PCDC, Maia has led numerous medium- and large-scale performance improvement projects with individual practice groups and multiple Performing Provider Systems in New York State. 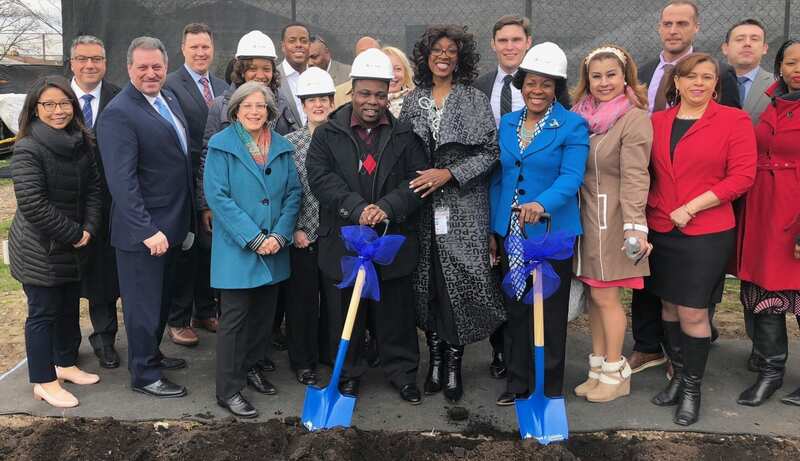 Prior to joining PCDC, Maia worked as the Site Manager at Norwalk Community Health Center, where she managed daily operations and provided departmental oversight throughout the Center. Maia is a Certified Professional Coder (CPC) and NCQA PCMH Certified Content Expert (CEC). Maia received her bachelor’s degree from University of Richmond, and her master's degree from Columbia University Mailman School of Public Health. Phone: 212-437-3964Email: agoodman@pcdc.org Amy Goodman, LCSW, Senior Project Manager has been with the Performance Improvement Practice at PCDC since 2015. Amy is a National Committee for Quality Assurance (NCQA) Patient-Centered Medical Home (PCMH) certified content expert who develops PCMH training tools for PCDC staff, clients, and medical residency programs, and supports practices to facilitate progress toward defined goals and timelines. She analyzes current practice workflows, policies, and data to advise practices on opportunities for improvement. Additionally, Amy leads the client behavioral health integration efforts by assessing access and capacity and identifying areas for improved collaboration. For over 20 years, she has worked in non-profit health care settings serving individuals with intellectual and developmental disabilities, having most recently served as a practice manager at YAI Premier HealthCare in Manhattan. YAI Premier HealthCare provides multi-specialty medical, dental, mental health, and rehabilitative services. Amy has also been successful with the development and implementation of the NextGen EHR training curriculum across the five YAI Premier HealthCare centers. As coordinator of rehabilitative services at AHRC, Amy led a team of physical, occupational, and speech therapists who provided care within seven outpatient clinical and day program settings. Other areas of expertise include developing coping strategies and peer support for children and adults, providing individual psychotherapy, group therapy, psychosocial evaluations, and care management. Amy received her bachelor’s degree in Child Development from Michigan State University in East Lansing, Michigan and her master’s degree in Social Work from Wayne State University in Detroit, Michigan. Phone: 212-437-3930Email: nandrews@pcdc.org Nicki joined PCDC in 2017 and provides PCMH consulting services. She has more than six years' experience working in health care, most recently in care coordination. 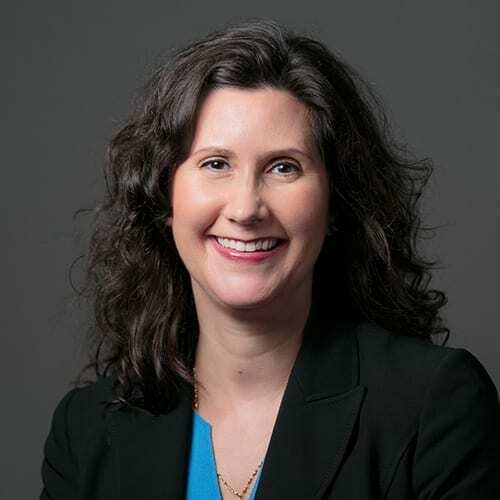 Before joining PCDC, Nicki worked for Mount Sinai Hospital as a Director of Wellness for their Viva program and as a consultant for the Department of Health where she developed behavioral health and quality improvement trainings. Nicki has also worked in mental health, HIV prevention, and as a diabetes educator. She holds a Master’s of Public Health from Downstate Medical Center in New York City. Phone: 212-437-3945Email: amarciano@pcdc.org Angelo joined PCDC’s Performance Improvement team in June of 2016. As a Project Manager, he facilitates PCMH transformation by primary care practices and leads PCDC's NYS Patient-Centered Medical Home (PCMH) facilitation program as well as assisting primary care practices with Meaningful Use and Medicare's Merit-Based Incentive Payment System (MIPS). 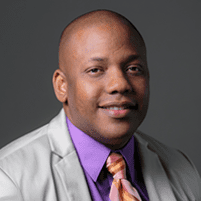 Before joining PCDC, Angelo served as the quality manager for a large primary care practice in Brooklyn and Queens. Angelo received a BS in health policy and management from Providence College and a masters degree in health administration from Columbia University. Phone: 212-437-3960Email: cshmulewitz@pcdc.org Chaim joined PCDC in 2015 as a Project Coordinator on the Performance Improvement team, bringing over four years of nonprofit experience. Chaim's work concentrates on marketing, patient-centered medical home, emergency preparedness, care coordination, HIV prevention, and providing general administrative support. 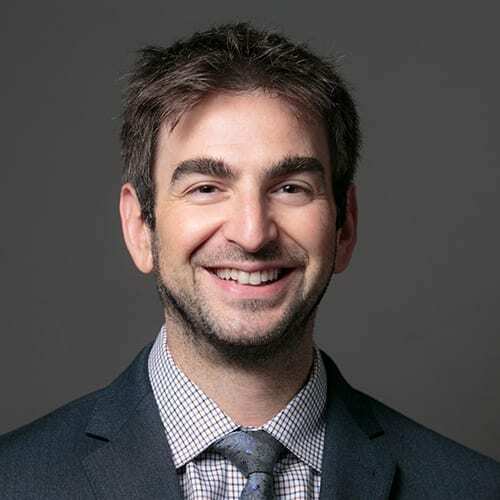 Prior to joining PCDC, Chaim was the Assistant to the Executive Director of the Association of American Law Schools, with administrative duties and responsibility for research, analysis, and data projects. He holds a BA in government from IDC Herzilya and an MA in global security studies from Johns Hopkins University. Phone: 212-437-3965Email: asolanki@pcdc.org Anuja joined PCDC in 2017 as part of the Performance Improvement team, bringing with her over six years in quality incentive knowledge. Anuja is currently responsible for helping practices across the tristate area in meeting patient-centered medical home (PCMH) and sustaining their recognition. She has a proven track record in making submissions audit-proof, by using customized templates and consistency in training. In addition to PCMH, she also works on New York State’s Advanced Primary Care (APC) model, Healthfirst Access Improvement project, and the One City Health Practice Transformation project. Before joining PCDC, Anuja was a Project Manager for one of New Jersey’s largest healthcare companies, responsible for Meaningful Use/MACRA, PQRS, and PCMH. Anuja holds a Bachelors in Biology from New Jersey Institute of Technology. Phone: 212-437-3949Email: ylipton@pcdc.org Yael is a Master Certified Health Education Specialist who works part-time as a Lead trainer and Curriculum Development Specialist at PCDC. Yael is a part of the Care Coordination team where she leads the creation of the Care Coordination training curriculum. She also is a lead trainer and travels all over the United States facilitating training for Care Coordination programs and staff. 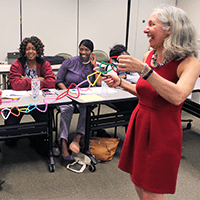 Yael conceptualizes and creates these trainings, using adult learning principles, and interactive methods. Yael has been creating, directing, and evaluating health education programming for over 15 years and has worked and consulted for a variety of public health organization. 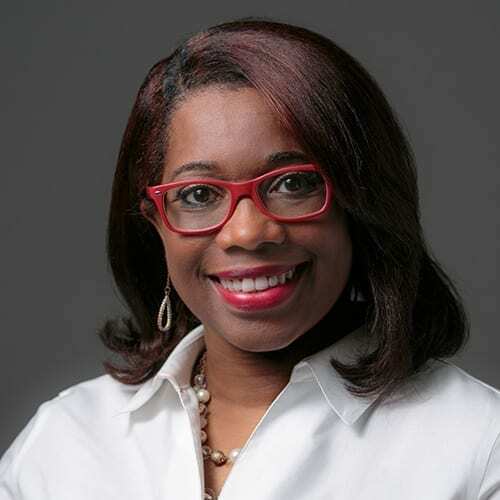 She holds a master’s degree in public health from the Rollins School of Public Health at Emory University in Atlanta and a bachelors of arts in history from the University of Wisconsin in Madison, Wis. Phone: 212-437-3948Email: mbell@pcdc.org Michael, who provides overall support to the Performance Improvement team, has an extensive background in customer service and inventory control. He brings vast knowledge of the energy industry, having served as an Inventory Analyst at Star Gas for four years before joining PCDC in 2017.